Separate from Belgium and unite with the Netherlands. If the latter, would this be feasible in any way? That is, purely hypothetically, would it be possible for the Netherlands to annex another region, if it was with the consent of the local people and that of the Belgian government? Related thought: Do the people of Flanders see themselves sufficiently distinct from the Dutch or do they strongly identify with them culturally speaking? Bonus question: There's also a small German-speaking population in Belgium, What about them? I'm Belgian. Born and raised in Flanders, as a francophone. Currently what Flemish people favour is keeping a united Belgium (vast majority). Second to that comes an independant Flanders (15-20%). Only then comes a union with the Netherlands. Culturally speaking, Flemish people have made their own culture. Ok, it's heavily influenced by American and British standards, but it's pretty unique and it has very little to do with Dutch culture. When I compare the impact of Dutch culture on Flanders to the French culture on Wallonia, Wallonia is much, much closer to France than Flanders is to The Netherlands. Also, in terms of regime, most of Flanders is in favor of a Republic. That's a majority, but a small one. If they'd have to leave Belgium, a monarchy, they probably wouldn't go in another one, The Netherlands. The Dutch like to think that Flanders would love to join them, but in reality, that's not the case. All that those people see is the common language (though, I've known Flemish people who can't understand other Dutch people speaking), but in fact, the culture is very different. When you speak to a Flemish guy about that question, he will most likely answer that it's a Dutch dream, not a Flemish one. But we must not forget that both the Netherlands and Belgium are in the EU. The Netherlands are much, much more eurosceptic than Flanders, which absolutely loves EU. EU fulfills a lot of interactions between The Netherlands and Flanders that would otherwise be warranted only by a union. I would say if you want to have one argument against merging the two is this one, both as a carrot (everybody wins) and a stick (Flanders wants to stay in EU, while a stronger and stronger part of The Netherlands thinks about leaving it, even if currently still small part). As of now, if Flanders joins the Netherlands, it will happen after it has gotten its independance, and if that independance somehow results in a failure. Just count the votes for N-VA and Vlaams Belang parties. They're 30-35% together, but the N-VA was also elected based on its strong economical program. And what was unexpected is that a lot of people voted for the N-VA only for their economical program, and not for the independance. The N-VA understood that and toned down (but not entirely dismissed) their independance agenda when they learned it. The idea only has some merit at at a superficial level, in that the Flemish speak Dutch dialects, etc., and the Netherlands were in fact united (complete with the French speaking parts) at one point in the first half of the 19th. But there also was a cultural divide between the Protestant North and the Catholic South at the time that led to the Belgian Revolution, so reunification is not a given. Whether the two re-unite at some point in the future is, frankly, anyone's guess. You'll probably find arguments that cater to both sides. As to the German speaking parts of Belgium, they were given to Belgium as war reparations after WW1. (For the anecdote, the Netherlands also wanted a big chunck of Germany after WW2, but only ended up with 69 km2 that they later returned in exchange for money. Luxembourg and Belgium wanted smaller chunks too.) Their future is also anyone's guess. Some of the locals are pushing for full regional autonomy, but I'm not privy enough with Belgian politics to know how far down that road they'd actually push. I'm Dutch, just for your information. And all these statements I read are made from 1 point of view: a francophone, Flemish or Belgian one. Facts: The Netherlands is PRO EU. It's not that sceptic: the voting last year showed a huge win for pro-EU parties. Most Flemish people would rather be independent than join the Netherlands. They would lose influence on their own destiny and instead of having to deal with French they would have to deal with Dutch. Completely understandable. Dutch people would mostly prefer unification, since for them it would not change a lot (in their eyes) and they like Flanders. Unification will probably never happen, as we are already working together and Flanders would have to accept losing influence on it's own destiny (which they probably and rightfully so). Flemish identity is based on NOT being Dutch. It is one of their largest community character. Walloon identity is not comparable, since it's not based on not being French. Dutch AND Flemish mentality is and always has been Republican. The fact that the Netherlands is a monarchy doesn't do anything. Nobody really cares about the royalty if it's not King's day. The Netherlands has always had a Republican Democratic character like Belgium/Flanders. It is not a unionistic country at all, although foreigners seem to think so. 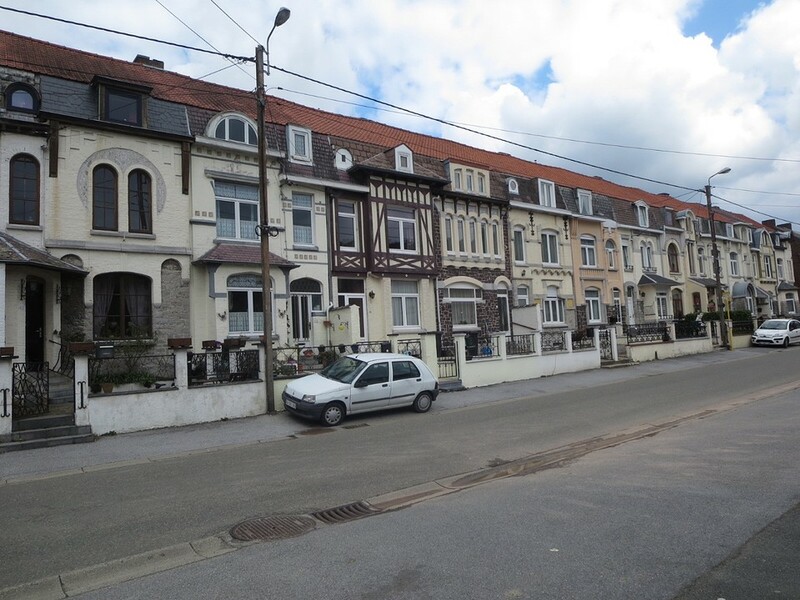 People from different provinces enjoy their distinctness, whereas in France or Wallonia you are seen as a hilbilly of you're from Bretagne or somewhere where they do not speak simple French. Dutch and Flemish are entrepreneurial. Both pride their republicanism, have the same language origins, have clean streets, are well organized, internationally oriented, European minded and FOUNDERS of the EU, work together already all the time. Also religion is not so much an issue anymore. Both are also well educated in languages and adjust well to environments. So again, there are more things that are similar I think (living here) than seperates them. I do NOT support unification even though I'm dutch. I think it would be bad for the Flemish and we would have the same problem: Flemish losing influence to the 'arrogant' Amsterdam Dutch. But saying that we are so different or that all Dutch are the same annoys me. Lastly to answer again: it will probably NEVER happen and that's probably for the best for both. Note: I'm dutch, so this is written from a dutch perspective. For the last few decades, there is a transfer of wealth going from Flanders to Wallonia. Not surprisingly, a significant part of the Flemish population would like to reduce that transfer. Independence of Flanders is an extreme way to stop the transfer of wealth. If there aren't enough reforms to reduce the wealth transfer, Flanders might go that route. Like the Brits did with Brexit. The counter argument against Independence of Flanders usually is that Flanders can't survive on its own. The counter of that counter is the union with The Netherlands: suggesting that Flanders would be better off as part of The Netherlands than as part of Belgium. The whole idea of joining The Netherlands should be seen in that light. Whether Flanders and The Netherlands would join afterwards, well, I doubt that would happen in practice. Flanders is economically strong enough to survive on its own. And why would one join distant bureaucrats directly after breaking away from some other distant bureaucrats? Note that the southern parts of The Netherlands are culturally closer to Flanders than the average in the Netherlands: Those parts are Catholic in origin, like Belgium and unlike the rest of the Netherlands. However, history since 1830 has been different for both countries. Especially the memory of WWI (1914-1918) is very different: Belgium was part of the front line and heavily hit, while the Netherlands remained neutral and mostly unaffected. As a result, to me - a dutch citizen - Flanders feels like a different country than The Netherlands. Closely related, like siblings, but a different country nevertheless. Close cooperation on many fronts likely would happen. We do that already on the national level - see Benelux - and there is lots of cooperation at the local level. I also expect some opposition in The Netherlands against a full union. The Dutch harbor of Rotterdam is a historical concurrent of the nearby Belgian harbor of Antwerp. Antwerp is also connected to the North Sea, but that connection is controlled by The Netherlands. The Netherlands has used that to disadvantage Antwerp, e.g. by dredging as little as possible and by stipulating it an "environmental protected area." Unification would make that impossible. Sometimes politics can be that petty. Any alternative that reduces the wealth transfer. A loose Federation within Belgium if possible, Independence if necessarily. That is, purely hypothetically, would it be possible for the Netherlands to annex another region, if it was with the consent of the local people and that of the Belgian government? That's not hypothetically at all! We recently did (link in Dutch) - nobody lived in the areas affected, though. The red part became Dutch, the yellow part Belgium. The dark parts are water, including the river "Maas." 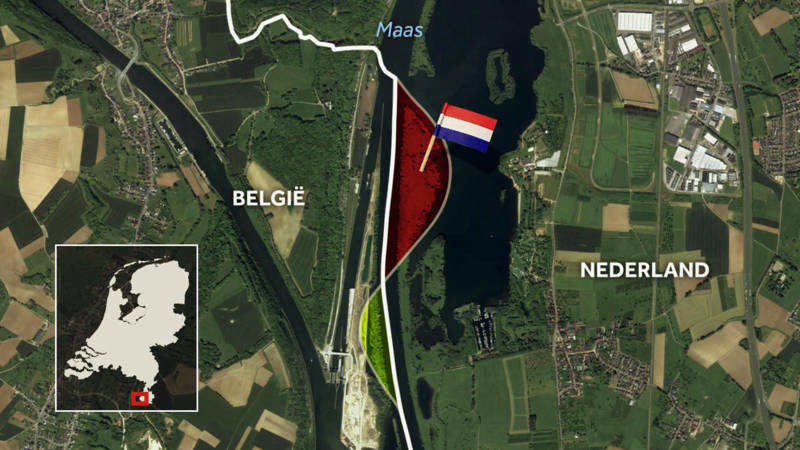 Although the situation in the village Baarle-Nassau, where the border is very complicated and neighbors might live in different states, hasn't been resolved yet. I guess it doesn't cause enough problems in practice. Not the answer you're looking for? Browse other questions tagged belgium or ask your own question.